Beautiful sky blue faceted 7 x 5 mm Blue Topaz stones are set atop three rows of beads made one at a time and placed by hand. Handcrafted in Bali of fine .925 Sterling Silver with elongated French wires that hook in the back. 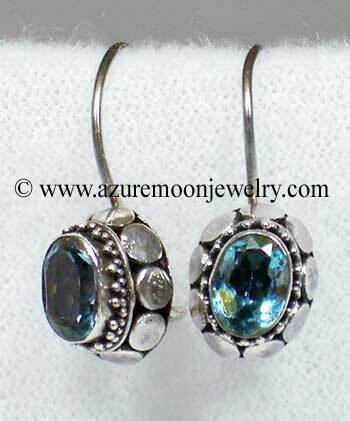 Earrings measure 1 5/16" L - 3/8" W - 1/4" D.
Blue Topaz is the birthstone for the month of November. Blue Topaz is the zodiac stone for those born under the astrological sign of Sagittarius. Blue Topaz is the fourth wedding anniversary gemstone. Blue Topaz (natural) is a fifth (throat) chakra gemstone. 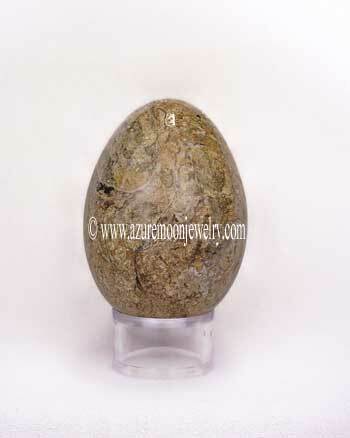 Topaz is the official state gemstone of both Texas and Utah. Metaphysical Properties: Blue Topaz is known as the "stone of true love and success in all endeavors". It promotes individuality, creativity and confidence in ones decisions and acts to replace negativity with love and joy. Click here to learn more about the lore and metaphysical properties of Blue Topaz and other popular gemstones.